Size of this preview: 600 × 600 pixels. Other resolutions: 240 × 240 pixels | 480 × 480 pixels | 1,000 × 1,000 pixels. Amateur Radio mobile operation. 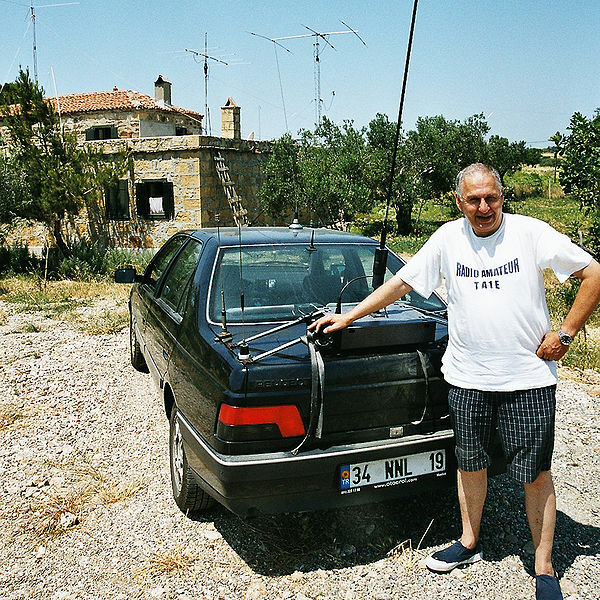 Aziz, call sign TA1E, of Istanbul standing by his car equipped with HF and VHF radios and antennas.